I found this mysterious little box in a second hand store in Santa Fe, NM, and was intrigued by its design and possible purpose. It has come to symbolically represent for me both the source of inspiration as well as the container of our inner voice that I believe speaks to each of us when we give it our attention. Which is really what inspiration is. The bird must be balanced in order to have the vantage point to see within it. 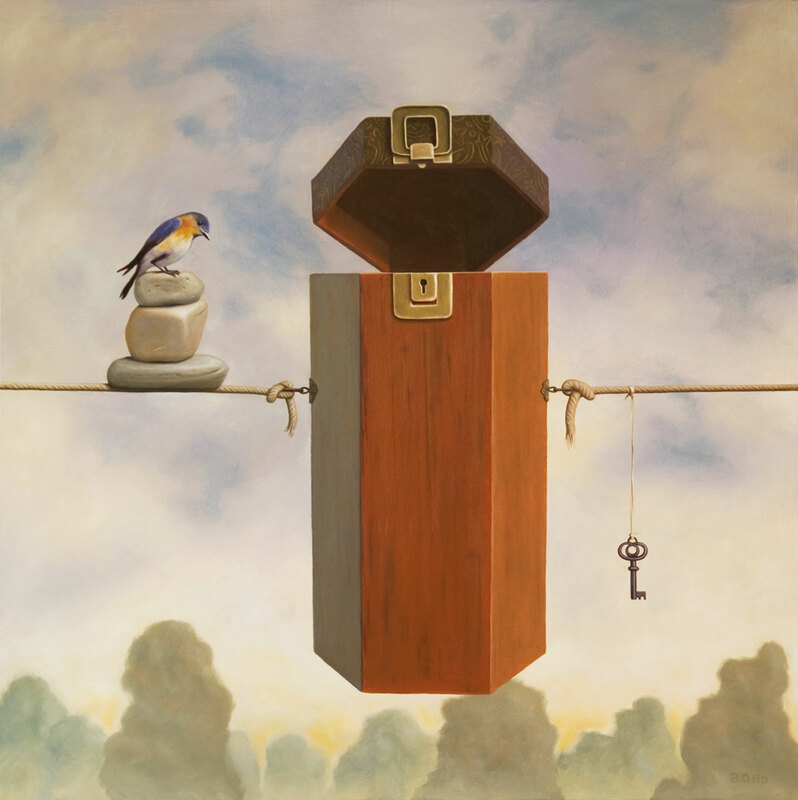 And ‘the key’ to using it is in acting on the small hunches and gut feelings, that when trusted and followed, will become stronger and clearer over time and lead us down the path of our highest purpose.